I read recently that tooth decay in children is at an all time high in the UK, with sugary drinks being among the biggest culprits – so much so that the NHS is looking to ban fizzy drinks and juices with added sugar in hospitals from some point this year, and the government is will be introducing a sugar tax from April. We all know that sugar isn’t healthy, and can actually lead to real health complications. One of the issues that’s causing real problems is tooth decay and tooth extraction as a result of tooth decay is the most common cause for hospitalisation of children under five. 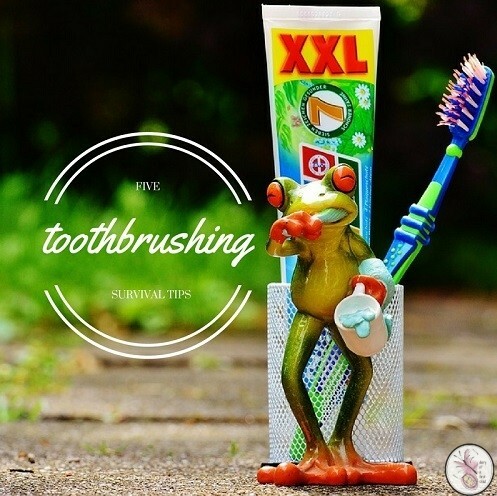 Getting kids to brush their teeth, however, can be an absolute nightmare, and when added to the other day-to-day pressures of life with kids, I can see why people might let the oral hygiene battle flounder a little. Unfortunately, the effects of that can be life-long. *This post contains affiliate links. You won’t be charged any extra for clicking on them or buying through them, but I may earn a percentage towards the maintenance of this blog. There really is an app for everything, and knowing that my kids love phone games, I thought I’d try one of the many apps that encourage tooth brushing. One we settled on for a while was the Aquafresh Game where a singing Aquaman encourages brushing for the right length of time. Kids can unlock different characters, scenes, songs and so on to keep it engaging. There are other games where you can collect stars or badges. It’s worth looking through and seeing what works for your child. I had braces as a child and was routinely given disclosing tablets to make sure I got all the plaque. You chew them, swirl the powder around your mouth a little and then spit. What’s left is a purple mouth that shows you where all the germs are hiding. Use with supervision though as this stuff stains worse than hair dye! It’s really useful though, from time to time at least, to remind kids where the bad guys are hiding. 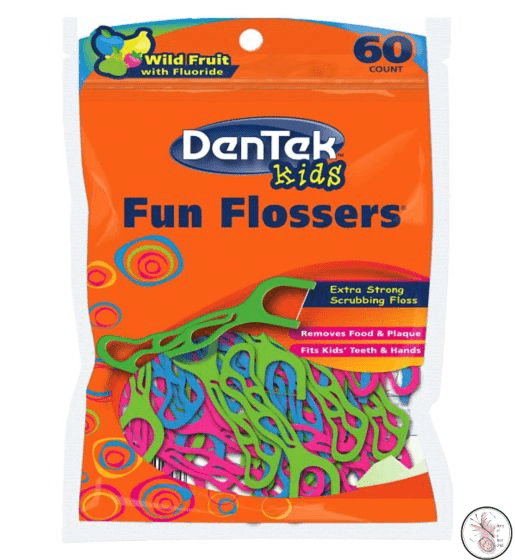 This is also a good time to introduce the Fun Flossers from Dentek – they are made for kids hands and are bright and colourful and will help in getting rid of all that purple. Make the bathroom (yet another) kid zone. Give them a space to take ownership of. I don’t know what it’s like at your house, but I would find toothpaste splattered in the most unlikely of places for a while. I decided the kids needed a tooth brushing mat – a floor mat they had to stand on when brushing their teeth. This greatly reduced toothpaste splatter from over the rest of the bathroom. There’s also little worse than a manky toothbrush – okay, there’s one thing – the bottom of the cup said manky toothbrush is stored in, so a hanging toothbrush holder is a good alternative for keeping tooth brushes nice and clean. These animal holders are very cute, but now that my girls are a bit older, we prefer the ladybirds. My 5yo doesn’t like peppermint or spearmint, and she seems to also have an aversion to using the same toothpaste day after day. As a result I’ve found it helps to have a selection of flavours available for her to choose from: a veritable fruit bowl of toothpastes for her to pick and choose from. There are so many fun toothbrushes for children on the market these days, they don’t have to be dull and boring any more. Try the one with a flashing timer or one with stickers – my kids loved this as I’d give them a sticker after every brush and they could ‘personalise’ their own toothbrush. There are even some with fun musical timers, which keep them dancing till the time is up. Unfortunately good teeth don’t seem to be something that feature much on children’s radars, but one day they’ll thank us – hopefully – for setting the example and encouraging healthy oral hygiene. Some great ideas, we always try to make brush time fun. Yeah! It does help if it’s not a crazy chore!